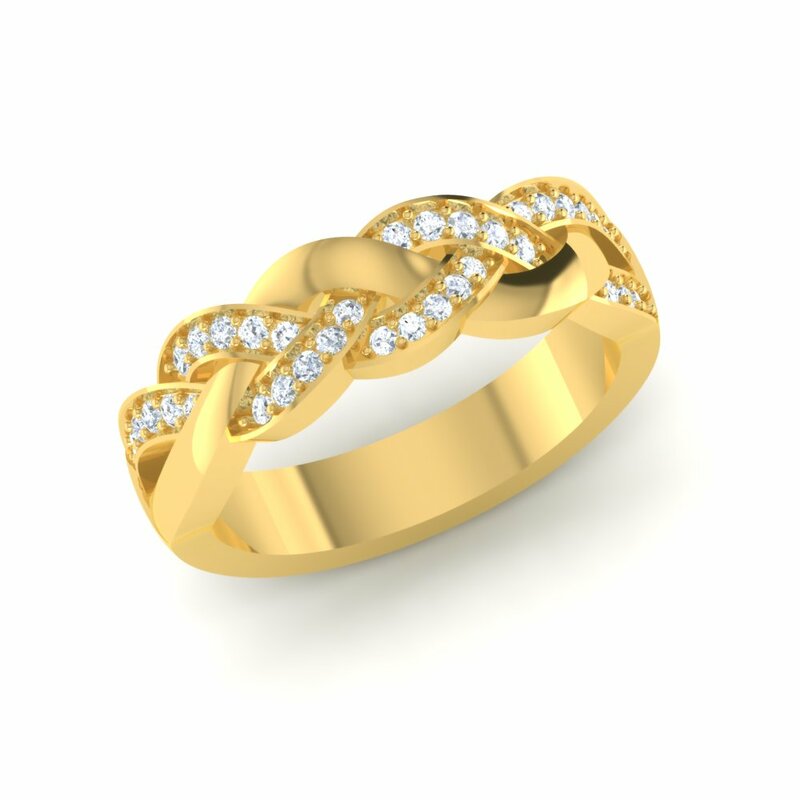 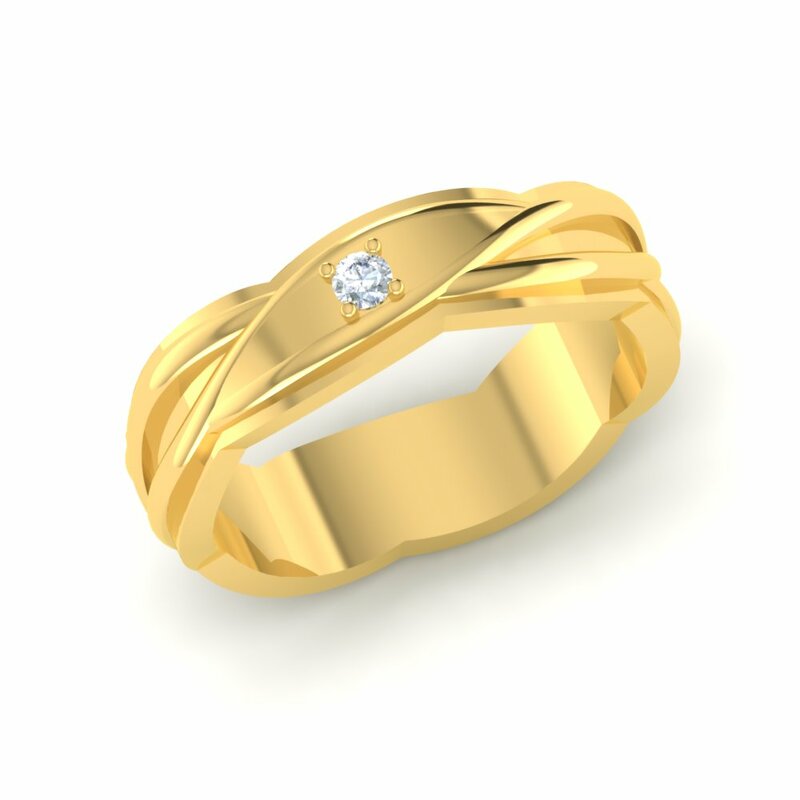 This product comes in 18K and the couple rings weighs approx 14 to 15 Grams. 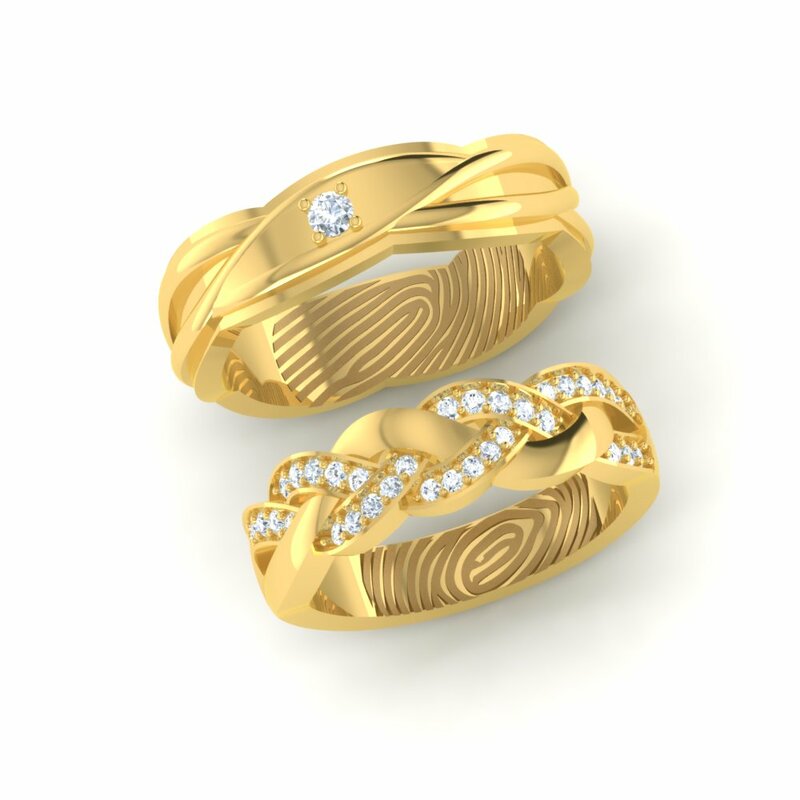 These rings also have diamonds of approx 15 Cents. 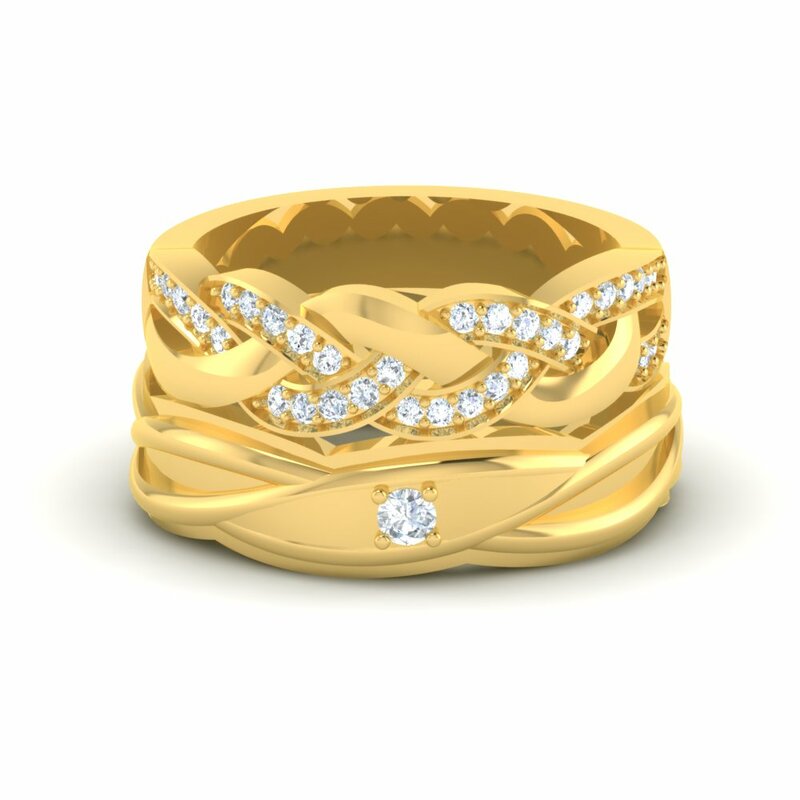 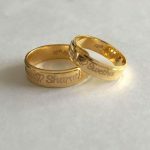 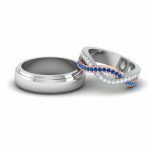 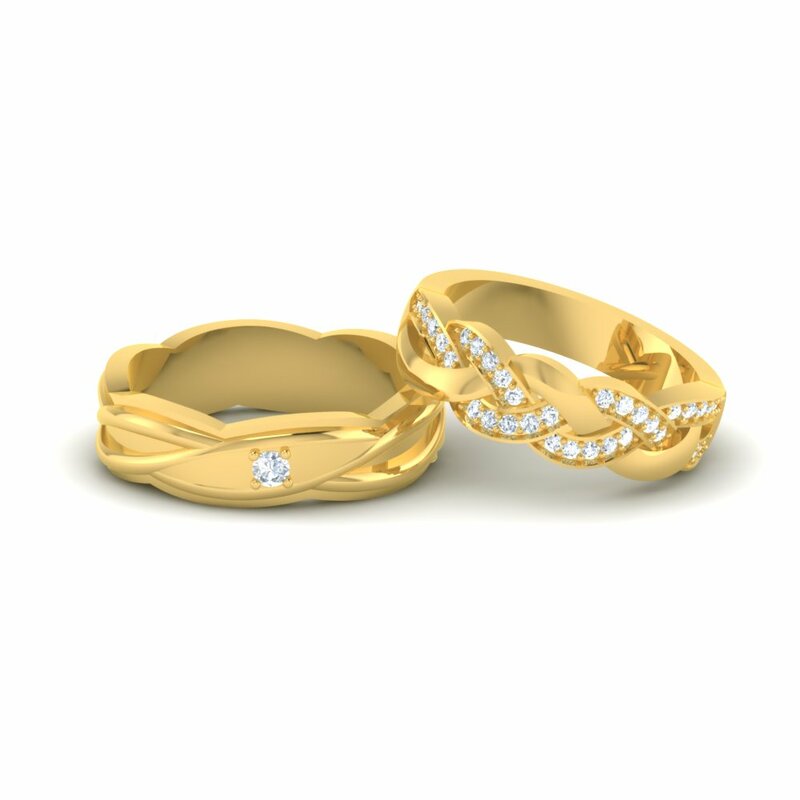 These unique Custom Diamond Gold Rings are a unique way to display that same love for one another.